Your 2013 Insurance flex funds will expire soon. Don’t lose the money you worked for all year. 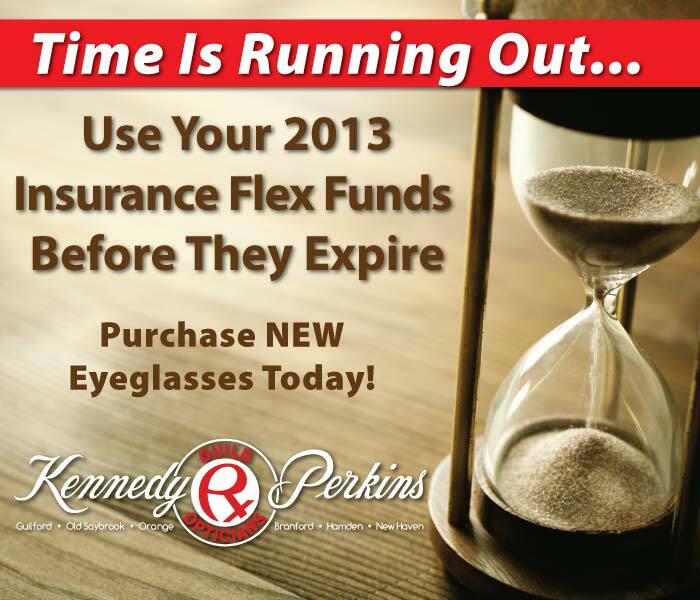 Come into Kennedy & Perkins and purchase a new pair of stylish eyeglasses with those dollars. It’s almost like getting a new pair of eyeglasses free! 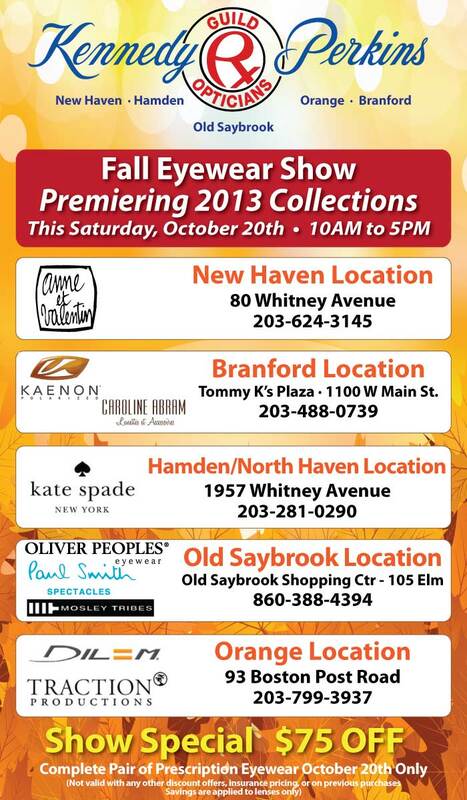 Don’t miss our biggest and best Trunk Show EVER! This Saturday at all 6 Kennedy & Perkins locations! Make sure your employee Flex Funds don’t go unused in 2012. Get yourself an eye exam and a new pair of eyeglasses at Kennedy & Perkins. Don’t miss our biggest optical event of the year! This Saturday, October 20th at all Kennedy & Perkins locations. It’s that time of year….and with it, a new opportunity for your children to excel this school year. 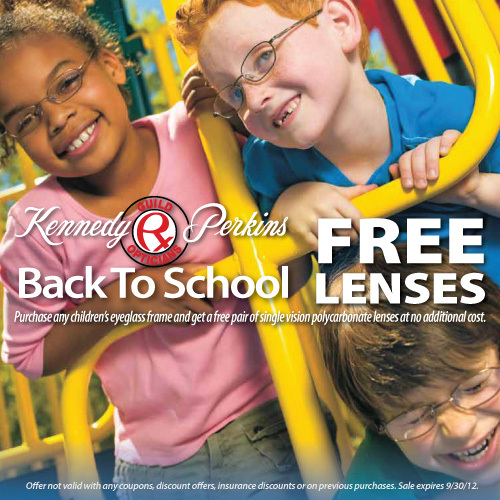 Make sure they have every opportunity to do so with an eye exam and if need be new eyeglasses from Kennedy & Perkins. We are offering FREE LENSES (single vision polycarbonate) through September with the purchase of any children’s designer frame. Hurry in today! It’s Here! 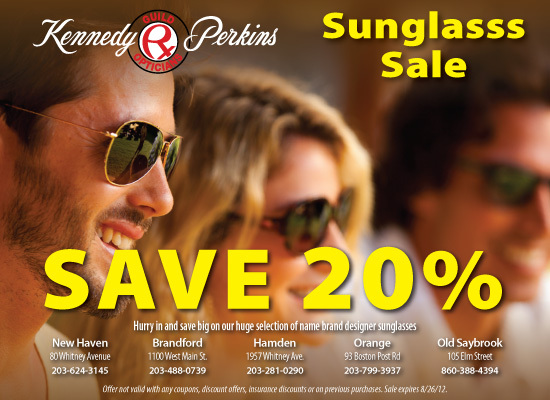 Our annual summer sunglasss sale! Hurry in today for the best selection of your favorite name brand designer sunglasses!